This zone which is located at the area of Binh Minh District – Vinh Long Province, the central location of Mekong Delta, has the strategically favorite position of economic development in international cooperation between Tien river and Hau river. 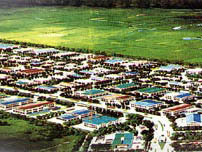 With the total area of 361 hectare, Amata Industrial Zone – Dong Nai Province attract lots of fields from contruction materials, engeering, computer to garment, jewelry, pharmaceutics. 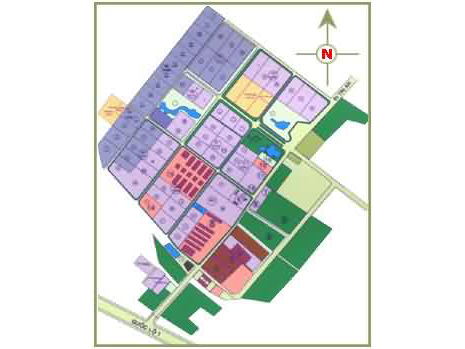 Acoording to the detailed plans, Nothern Phu Cat is a clean industrial park with high-tech zones which are not harmful to neighboring area such as electronic, consumer goods production, exactly mechanics, building materials. 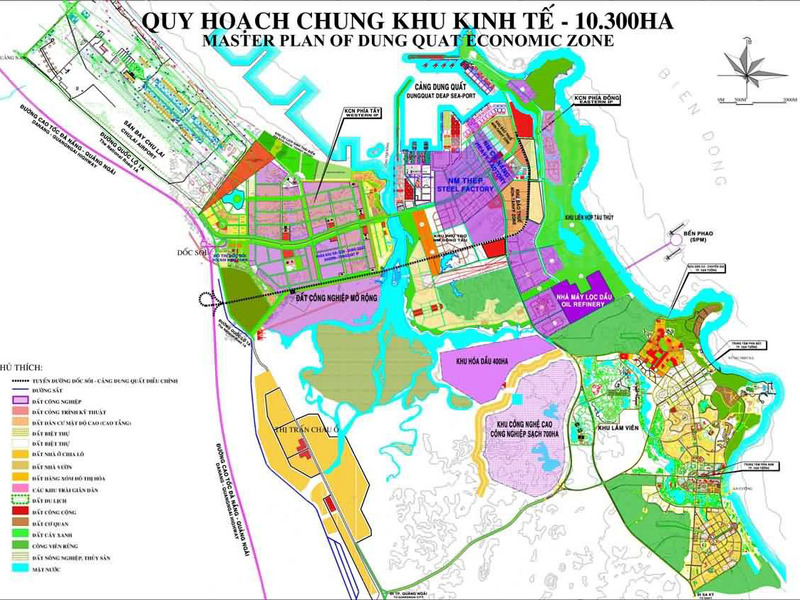 Hoa Khanh Industrial Park located in Danang City, an economic central heart of Vietnam. 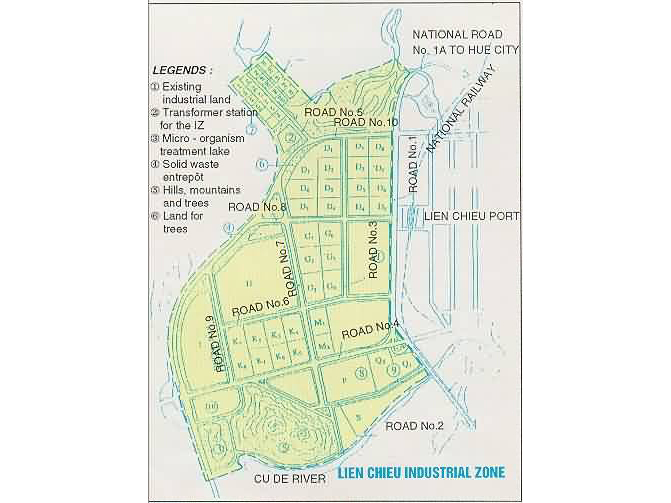 Lien Chieu Industrial Zone which is located in Danang City, an important economic central heart of Vietnam, has a strategic economic location in industry development. Located 102 km from Hanoi , Haiphong is an age old industrial city and port and serves as the main gate to the sea for many provinces in northern Vietnam . 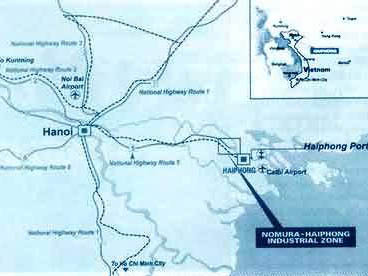 Haiphong has a strategically important po­sition and belongs to the northern key economic zone. 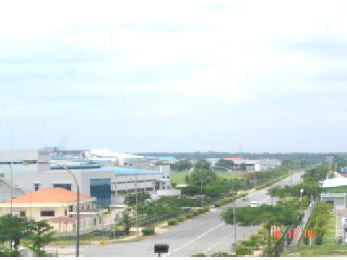 Vung Ang Industrial Park-Seaport Complex is a project of Vung Ang Industrial Park Infrastructure. Development Company and operates under the management of the Industrial Park Management Board of Ha Tinh Province. 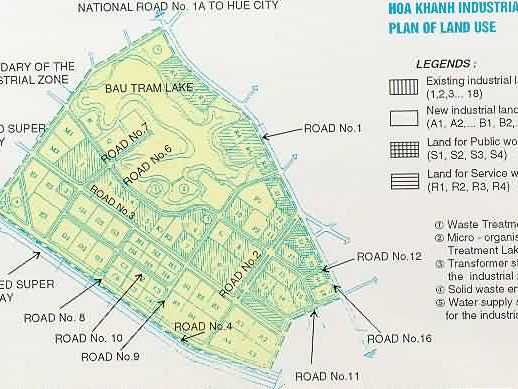 Cai Lan Industrial Zone is a project of Quang Ninh Construction and Cement Company and operates under the control of the Management Board of Industrial Zones and Foreign Investment of Quang Ninh.